Wagner, Anton and Alan Filewod. "Paul Thompson". The Canadian Encyclopedia, 15 December 2013, Historica Canada. https://www.thecanadianencyclopedia.ca/en/article/paul-thompson. Accessed 25 April 2019. Paul Thompson, director, producer, playwright (b at Charlottetown 4 May 1940). Paul Thompson, director, producer, playwright (b at Charlottetown 4 May 1940). Influenced by his work with Roger Planchon's socially and politically committed theatre in France (1965-67), he emerged as an important figure in the Canadian alternative theatre movement as artistic director of Toronto's THEATRE PASSE MURAILLE (1970-82). In 1984 Thompson served as guest artistic director of the 7:84 Company in England. Thompson pioneered the development of the COLLECTIVE CREATION process in which actors, a director and (occasionally) a writer develop a script through field research and acting improvisations. His productions were characterized by their Canadian subject matter and the exploration and creation of Canadian myths. They include Doukhobors (1970), The Farm Show (1972), 1837: The Farmers' Revolt (1973, written with Rick SALUTIN), I Love You, Baby Blue (1975), Far As the Eye Can See (1977) written with Rudy WIEBE) and Linda Griffiths' Maggie and Pierre (1980). 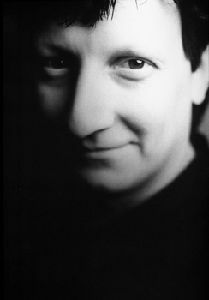 Thompson was director-general of the National Theatre School (NTS) in Montréal from 1987 to 1991. During his tenure he was in large part responsible for securing funding for renovations to the Monument National as an NTS performing space. He initiated a playwright's chair for the NTS English section and laid the groundwork for setting up a director's program for both the English and French NTS sections. Since his departure from the NTS, Thompson has continued his career as a director specializing in the development of new plays. He has directed at Montréal's CENTAUR THEATRE, ALBERTA THEATRE PROJECTS, the BLYTH FESTIVAL, NATIVE EARTH PERFORMING ARTS SOCIETY in Toronto, De-ba-jeh-mu-jig company on Manitoulin Island, and THEATRE PASSE MURAILLE. Alan Filewod, Collective Encounters: Documentary Theatre in English Canada (1987); Denis Johnston, Up the Mainstream: The Rise of Toronto's Alternative Theatres, 1968-1975 (1991); Judith Rudakoff, Dangerous Traditions: A Passe Muraille Anthology (1992).